Find out which schools set civil rights leaders on their historic paths. 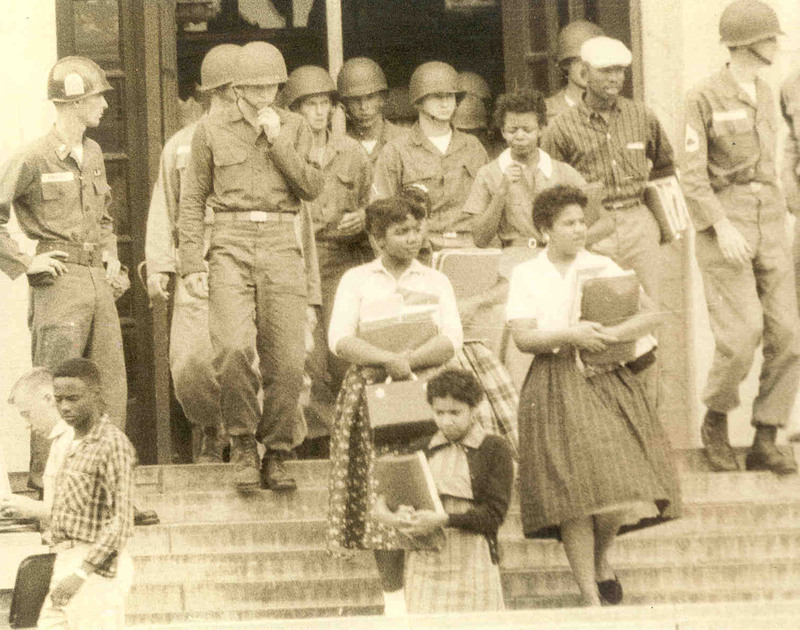 The Little Rock Nine were the first African American students who attended an integrated school in the deep south. Interested in making a change in the world? Consider attending a school known for producing alumni that have made big waves. 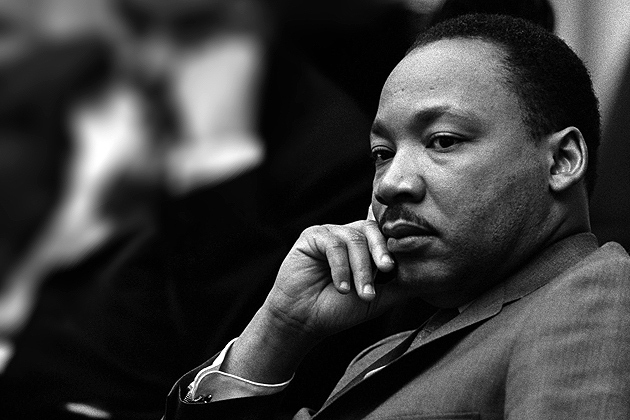 These six colleges churned out graduates that became legends in the world of civil rights. If you're interested in social justice, look no further than the following schools! Activist: Martin Luther King, Jr.
After getting his BA in Sociology at Morehouse College in 1948, civil rights legend Martin Luther King, Jr. went on to become “Dr. King” at Boston University. In 1955, he received his PhD in systematic theology, which is the practice of compiling a rational, coherent summary of Christianity. The school commemorates King’s legacy by maintaining a Free at Last sculpture on campus, which students surround with flowers and candles on MLK day and other significant dates. Martin Luther King's house was bombed during the Montgomery Bus Boycotts. James Farmer enrolled in the historically black Wiley College at 14 years old (yes, you read that right) after being recruited by the school’s debate team. The skills he learned on this team helped him become an influential member of the Civil Rights Movement, co-founding the Congress of Racial Equality (CORE) and organizing the Freedom Rides -- a program in which white people volunteered to ride alongside black people on buses. James Farmer was one of the "Big Six" of the Civil Rights Movement, along with Martin Luther King, Jr., John Lewish, A. Philip Randolph, Roy Wilkins and Whitney Young. When the South was still widely segregated in 1960, four North Carolina Agricultural and Technical University students (Joseph McNeil, Franklin McCain, David Richmond and Ezell Blair) performed our country’s very first sit-in. After being refused service at the “whites only” lunch counter, they stayed in their seats until the store closed as a way to peacefully (and figuratively) stand up for themselves. The very next day, 29 students arrived at the store to sit again, giving birth to a “sit-in” trend adopted by students and activists across the country. In 2013, the school celebrated the 53rd anniversary of the famous event by inviting three of the four original “sit-in” alums to come speak on campus. Franklin McCain led the Greensboro sit-ins which helped inspire sit-ins across the country. Roy Wilkins, known for his leadership role in the National Association for the Advancement of Colored People (NAACP), received his bachelor’s in sociology from the University of Minnesota in 1923. While in college, Wilkins began developing his unique approach to civil rights, sometimes called the “Minnesota approach”; rather than working against an enemy, this approach relies on believing that humans will make the right choices when given appropriate guidance. The school is rightfully proud of Wilkins’ legacy -- they named the Roy Wilkins Auditorium for him in 1984 and the Roy Wilkins Hall dorm in 1996. Roy Wilkins was awarded the Presidential Medal of Freedom by Lyndon Johnson. Eleanor Holmes Norton is a Civil rights activist and the current Delegate to the United States Congress representing the District of Columbia. She graduated from Antioch College in 1960 before getting her master’s degree and law degree at Yale University. While at Antioch College, Norton was part of the Student Nonviolent Coordinating Committee and was arrested for participating in several sit-ins. In an interview conducted in 1996, Holmes recalls that she was a senior at Antioch College “when the first real action that could be called movement action was ignited.” After finishing her education, she went on to become an integral part of the American Civil Liberties Union (ACLU), and then the New York City Commission on Human Rights, and finally the Equal Employment Opportunities Commission (EEOC) before becoming a delegate in 1990. Eleanor Holmes Norton has been an advocate of nuclear disarmament since 1994. Van Jones is the president of the Rebuild the Dream foundation which aims to counter the Tea Party. The only downside to attending one of these six schools is that you’ll have some pretty big shoes to fill! Should You Attend a Historically Black College?